When Warren Buffett speaks, investors listen intently. 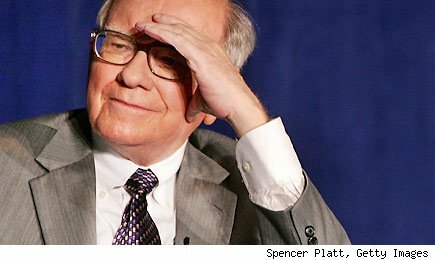 So you can imagine Wall Street's surprise when Warren Buffett indicated Tuesday night in a letter to shareholders that he has been diagnosed with stage 1 prostate cancer. Suffice it to say that mild panic swept through Berkshire Hathaway's (BRK-A) (BRK-B) shareholders, who sent the stock gyrating in after-hours trading until traders got a grip on fact that treatments for Buffett's current ailment have a high success rate. As the 81-year-old Buffett himself noted, his condition is "not remotely life threatening or even debilitating in any meaningful way." But this brings up an important point about Warren Buffett and what will most certainly be an impeccable legacy. For all the words of wisdom he has doled out over six decades, and his countless stock-picking successes, what people will consider Buffett's greatest legacy is the constant reminder that no one person is greater than the sum of his or her business. This isn't to say that great leaders aren't instrumental in developing and growing a business or brand. Walt Disney transformed the way Americans think about entertainment through film, television and amusement parks. When Walt passed away in 1966, many wondered if his company's zest would die with him. Consider those concerns allayed: Disney's (DIS) stock has advanced a cool, split- and dividend-adjusted 32,731% since Walt's death. For those of you with shorter memory spans, consider Steve Jobs. The co-founder of Apple (AAPL) -- now the largest company in the world -- is largely credited with revolutionizing the way we use technology with its iPods, iPhones and iPads. But as much as Jobs was the face of his company, it is technological innovation and its growing cult of loyal customers that continue to drive Apple's business. Since Jobs' death, Apple's stock has gained an impressive 61%. The face of a company is important -- but not as important as the reminder that it's the sum of the parts that makes a company great. Buffett has been working tirelessly since 1964 to put together the well-oiled machine that Berkshire is today. His holding company spans a variety of sectors, including insurance, service and retail, energy and finance. But the one aspect that most dominates Berkshire's operations is stability -- a stability that has resulted in Berkshire outperforming the S&P 500 in 39 of the 47 years that Buffett has been at its helm, and a stability that will remain long after he's gone. 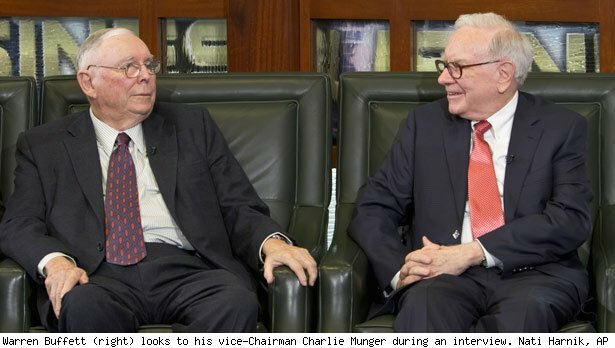 Charlie [Munger] and I are the managing partners of Berkshire. But we subcontract all of the heavy lifting in this business to the managers of our subsidiaries. In fact, we delegate almost to the point of abdication. On my death, Berkshire's ownership picture will change but not in a disruptive way. ... At my death, the Buffett family will not be involved in managing the business but, as very substantial shareholders, will help in picking and overseeing the managers who do. ... Essentially my job will be split into two parts. One executive will become CEO and responsible for operations. The responsibility for investments will be given to one or more executives. In short, Buffett knew in 1996 that -- despite his unparalleled business success -- Berkshire's successful strategy for shareholders would be carried on by his board of directors and managing subsidiaries long after he is gone. Buffett recognizes that, while he is the easily identifiable leader of Berkshire Hathaway, its corporate structure, shareholder-first ethos, and the businesses within the holding company are strong enough to thrive even without his leadership. 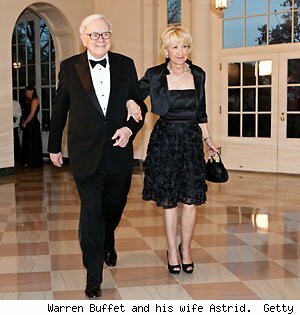 We all wish Buffett a speedy recovery and a long and healthy life, but we also know that Berkshire shareholders are in great hands thanks to the groundwork laid by one of America's greatest entrepreneurs and philanthropists. Motley Fool contributor Sean Williams (on Twitter @TMFUltraLong) has no material interest in any companies mentioned in this article. The Motley Fool owns shares of Berkshire Hathaway, Disney, and Apple. Motley Fool newsletter services have recommended buying shares of Berkshire Hathaway, Disney, and Apple, as well as creating a bull call spread in Apple. Try any of our newsletter services free for 30 days.